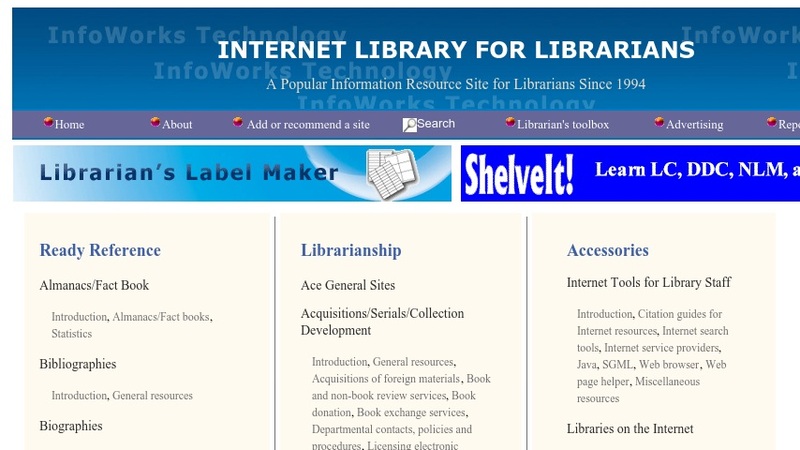 The Internet Library For Librarians is a portal designed with librarians in mind. Common reference materials, librarianship, and accessories organize the site hierarchically. Under each of these levels exist more levels that further narrow down the visitorï¿½s specific focus. Furthermore, the portal forms a community that offers features such as 'add or recommend a site' to further expand the portal's collection. This site is a valuable resource for those who are just entering the field or seasoned professional librarians.